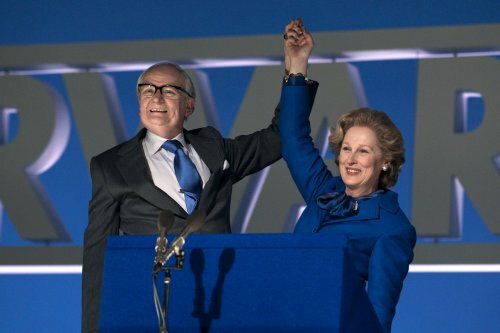 Way back in January I was informed by Pathe that principle photography for the film "The Iron Lady" was starting. Now they have released a second image. This time with Jim Broadbent in the same image. Still no handbag 'tho. Photo Alex Bailey / Courtesy of Pathe Productions Ltd.